Meet Johanna! May 2017 marks her 7th year with GOPC. 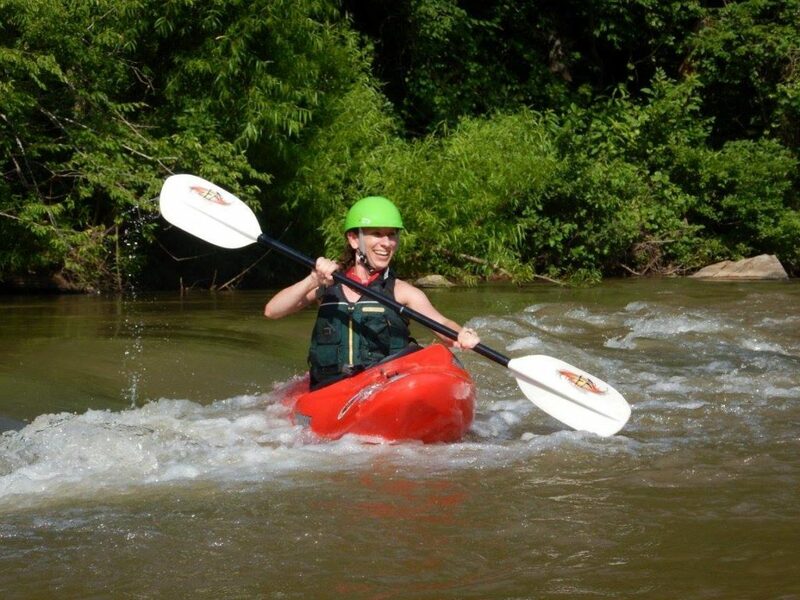 She is our Greensboro paddlesports manager, though she really enjoys working in all of our departments. 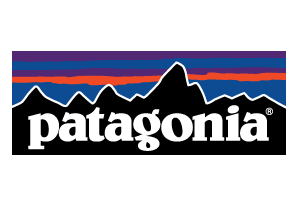 What first introduced you to the outdoor lifestyle? Luckily for me, my parents had the foresight to send my brothers and me to an amazing summer camp in New Hampshire when we were kids. 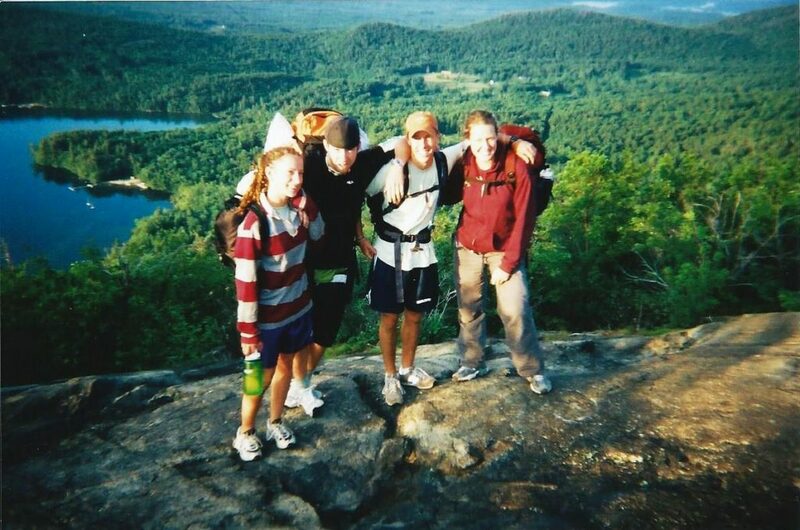 It was at camp when I was 10 years old when I went on my first backpacking trip and I absolutely loved it. I ended up being a camper there for 7 years and a counselor for 4 more after that. I never thought I could have so much fun. It was so exciting and adventurous! 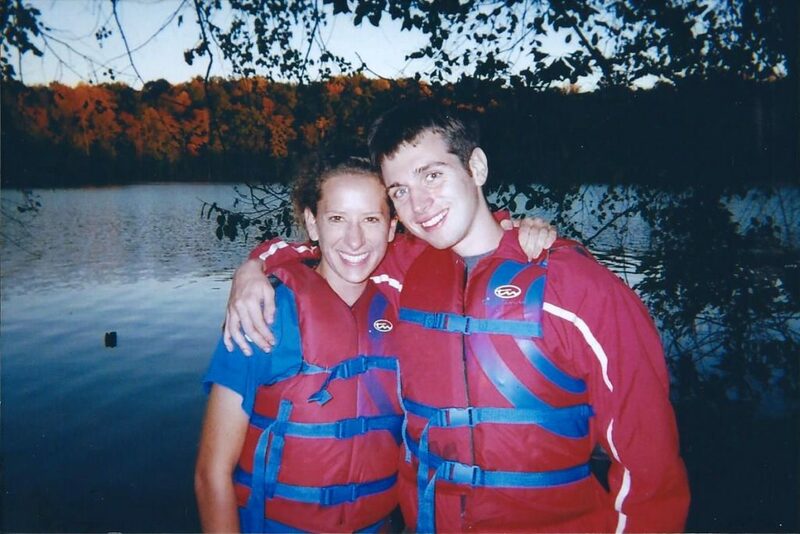 The first time I went canoeing was so long ago I don’t remember. Must have been with my family on Lake Winnipesaukee, I was maybe 4 or younger? But it was really at camp when I was first taught basic strokes and came to love it. 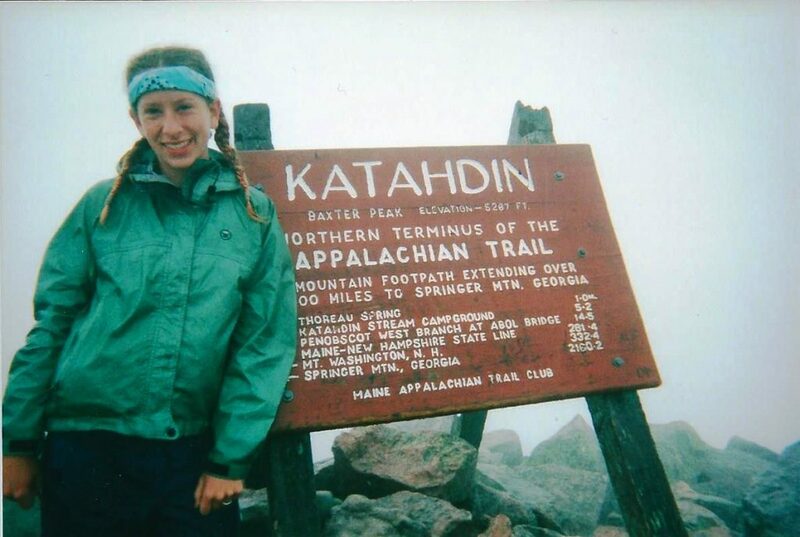 I started going on canoeing trips around the same time I started backpacking, at about 10 years old at camp. Where is your favorite spot to paddle? I have a strong sentimental attachment to Lake Winnipesaukee in New Hampshire, so that would have to be my favorite. The scenery there is spectacular, there are mountains all around. What’s your most memorable paddlesports experience? Hard to say. Either the time my brother and I kayaked into a cove on the Salmon Falls River in Maine and saw a bald eagle up close, or the time I led a canoeing trip with teenage girls at camp and every single kid flipped their canoes on day 1. Hysterical. What’s a particularly big trend you see right now? 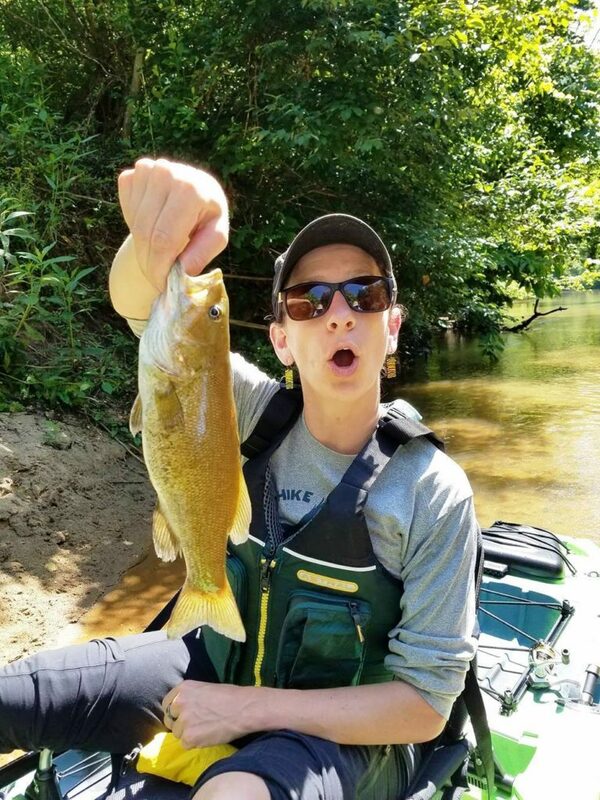 Kayak fishing is far and away the biggest trend in paddlesports. Many of the fishing kayaks we sell are stable enough to stand up in which most people don’t associate with kayaking. Kayaks are less expensive than motor boats, easier to transport, and allowed in places where motor boats can’t go. I tried it for the first time last summer on the Dan River and it was a BLAST. Do you have a memorable story or two about a customer? I have more memorable stories about customers than I can count, but an incident with a customer last summer really stood out. 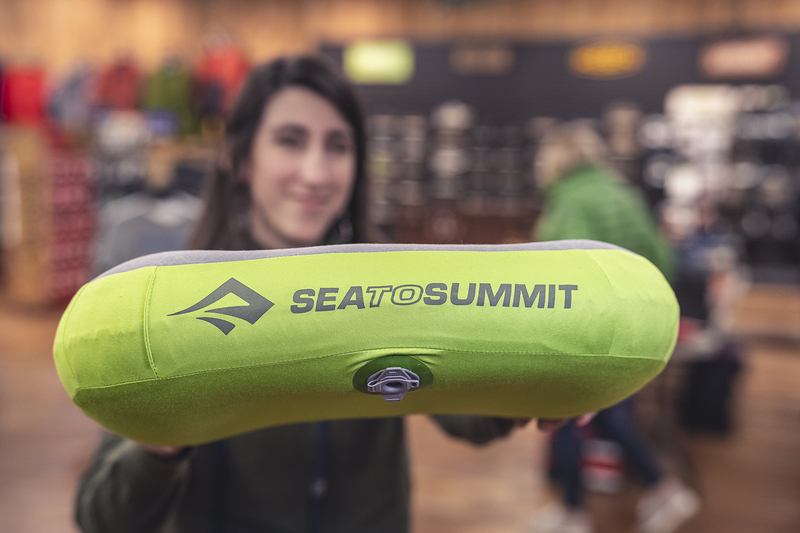 When I first took over the paddlesports department, I was looking for as many opportunities as I could to get on the water and educate myself about our boats. One of our regular customers, Ron Washburn, happily offered to volunteer his time to take me out on a private pond one day so I could use his Hobie Pro Angler. We set aside a time to do it and it was a beautiful sunny day, really fun, and helped me become more familiar with the boat. I sold one about a week later and it was a direct result of my experience. He’s a great guy and it meant a lot to me that he reached out to help. I feel like I make new friends with customers all the time, I’m so lucky. What advice would you give to beginning paddlers in the Piedmont? Demo! It’s the best way to figure out how different boats behave in the water and which size and shape boat matches your skill level. If you’re looking to paddle for relaxation, try a lake. If you’re looking for excitement, try a river. And go with someone better than you so you can learn from them. It’s also safer to go with a friend, especially when you’re just getting started. 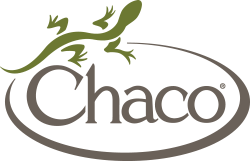 What do you love about working at Great Outdoor Provision Co? So, so many things. Mostly it’s that I love people and interacting with the public. I like problem solving and being helpful which I get to do at work all the time. We’ve got great customers, great products, and it’s easy to get excited and inspired just being around this stuff. I look forward to coming to work and I am so lucky to spend time with our amazing staff, too.